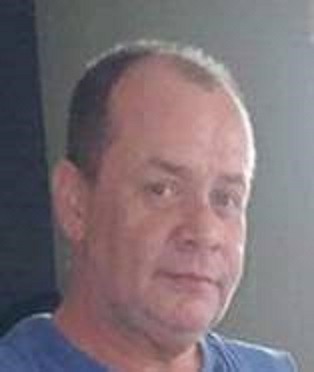 James William Daniels, 55, of Clinton, Illinois passed away 7:53 PM March 18, 2019 at Decatur Memorial Hospital, Decatur, Il. A memorial service will be scheduled for family and friends at a later announced date. Calvert Funeral Home, Clinton, IL assisted the family with cremation rites. James, aka “Jim” to family and friends, was born January 29, 1964 in Clinton, IL the son of Thornton and Joyce (Hammond) Daniels. Jim was a father to Christopher Daniels, Clinton, IL and grandfather to Issaiah Daniels. Survivors also include his sisters, Karen Daniels and Janet (David) Coppenbarger, Granbury, TX; brothers, David (Dana) Daniels, Florissant, MO; Terry Daniels, Mons, Belgium; Robert (Martha) Daniels, Springfield, IL; and Philip Daniels, Clinton, IL. Jim is also survived by two nephews, Kevin (Stephanie) Coppenbarger and Timothy (Stephanie) Coppenbarger, both of Granbury, TX and one niece, Maggie Inman, Clinton, IL, and several great-nephews and great-nieces. He was preceded in death by his parents Thornton and Joyce and two brothers, Michael and Kerry. Jim was a lifelong area resident. Jim enjoyed socializing with friends and helping others when he could.